With temperatures averaging -40°C, Mongolia should be a natural as a ski destination, but snowfall is not quite the winter asset that the low temperature is for winter sports, and perhaps downhill skiing hasn’t been a big priority for Mongolians until recently. 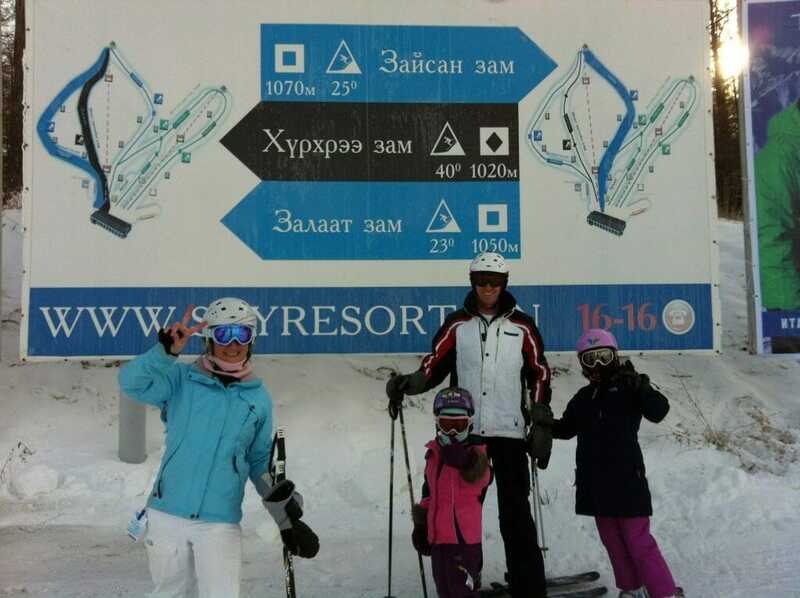 But that all changed in November 2009 with the opening of Sky Mountain, a ski area located 13km southeast of Ulaanbaatar, Mongolia’s capital and largest city. Sky Mountain has six trails for beginners, intermediate and advanced skiers, adding up to 6km of trails served by seven lifts including a couple of chairs, two drags and three moving carpet lifts. The slopes are wide open with a little bit of light glading at the edge of the trails. The ski centre can cope with 1,500 customers a day but is reported to be quiet most days as Mongolians are still not keen skiers. The 300-seat restaurant, 480 lockers and 1,000-capacity car parking space are rarely full. The lifts and runs are located between 1,379 and 1,570m, giving a 191m vertical. Visitors can rent skiwear as well as skis, boards and boots. The runs are 100% covered by snowmaking, installed by TechnoAlpin, which is needed because the area is extremely dry and only receives an average of 20cm of snow between November and February each winter. The nearest existing resort is believed to be Alsham in the Chinese province of Inner Mongolia (not to be confused with the actual country of Mongolia!) just over the border. Alsham is regarded as the top league of ski areas in China, with an FIS racing slope. It is reported to be located in a snow pocket with skiing from the start of November, making it one of the country’s most snow-sure destinations. Because of its location on the border of Mongolia, it is marketed for the ‘Mongolian experience’ and offers alternative snow-fun sports such as football on snow. The ski resort contains two parts: the West Hill Ski Terrain for ski racing and training, and the East Hill Terrain for fun. The West Hill Terrain is built in accordance with the standard of international ski racing, suitable for competition and training. This part covers around 5.5km with a great many downhill and cross-country trails.